Beginning at the young age of 12 years old, Misha Hajj developed a strong passion for the practice of yoga. She picked up an Ashtanga yoga book and did postures in her room. She did not fully understand exactly what she was doing, but she knew it felt good. In 2011, she took her first studio class which sparked her ever-growing love for the practice. Misha is moved by not only the amazing physical benefits of yoga, but the mental, emotional, karmic, and spiritual benefits. You can always find an aligned dynamic vinyasa sequence, a funky arm balance or a challenging inversion flow in her classes. She aims to challenge students to work hard on the mat so they can work even harder off the mat. What Misha finds to be an integral aspect of yoga is the kula, or community. No matter the style of yoga, the location of the space, or the number of yogis in the room, the practice of yoga is true to its name as it yokes together a community of practitioners. 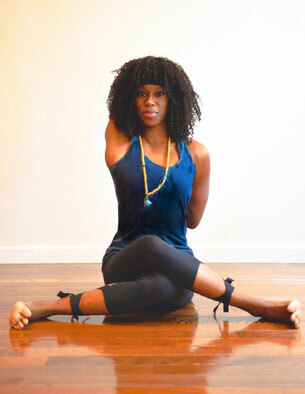 Her background is in Iyengar Yoga guided through the teachings of Naghmeh Ahi, Leah Katz, and the late Lisa Rotell. Currently, Misha regularly practices Ashtanga Yoga practice guided by Michael Guiou, Authorized Level II Ashtanga teacher. Misha has attended yoga workshops with many world renowned teachers including Louise Ellis, James Murphy, Kino MacGregor, Greg Nardi, Seane Corn, Coby Kozlowski, Dice Ilda-Klein, Annie Carpenter, Yogeswari, Rima Rabbath, Lady Ruth, Raghunath, Kathryn Budig, Phillip Askew, and Sri Dharma Mittra. Completing her undergraduate career in just three years, with honors, Misha has studied at Montclair State University and Pembroke College of Cambridge University. She has a BA in Justice Studies with a double concentration in Justice Systems & Paralegal Studies, and holds an American Bar Association approved Paralegal Certificate.